I forgot who said this, but I still remember it. “The best holiday ever is not about where to, but whom with.” And I couldn’t agree more with that. I mean you can travel all around the world – to best places you can imagine. But if you do it with someone who has your heart, it would be tripled. 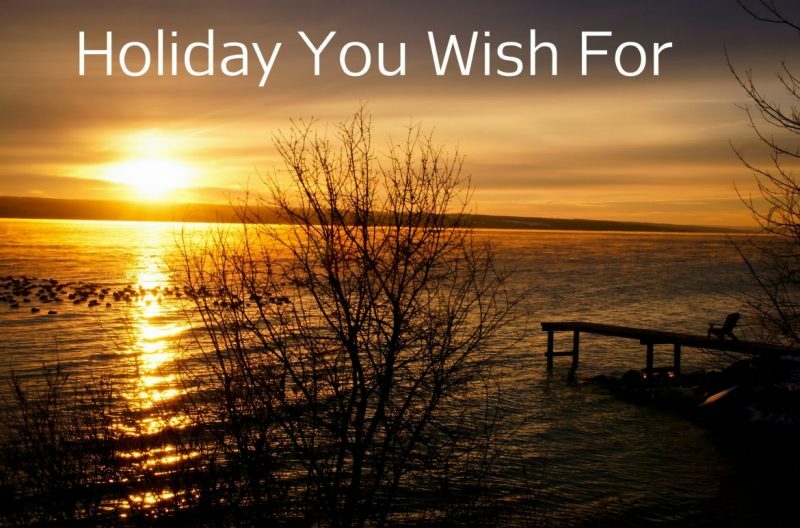 So today’s post is about the holiday I wish to go with someone. The someone in this post is none other than my mother. She once told me that she want to go to Borobudur Temple during the Veshak Day Ceremony. Up till today, I had made plan with my brother and sister but yet realizing her wish. The last holiday we took as a family was on 2012, we went to Bali as the first family trip. We chose Bali because at that time there were a discount from AirAsia. We booked the ticket early and went to Bali on September 2012. We also used a tour guide, a really nice tour guide. He was very flexible. We changed some places we wanted to visit at that time, such as the Lovina Beach. And he was okay with it. We were glad we changed the destination at that time because we can see how big my mother’s smile when she saw the dolphins swimming around our boat. That’s the best gift ever that I ever received. Making my mother happy is one thing I want to do over and over again. I have the video about the Lovina’s dolphins and my mother’s sound behind it saying how beautiful it was. But I forgot where I save it. I will uploaded it in my youtube channel as soon as I found it. We were planning to take mother to go to this Borobudur Temple for so long. But we haven’t made it real because we haven’t got a chance until today. Early June, a friend of mine took his mother and father there, attended the Veshak Day Ceremony with several friends also. He said that I don’t have to feel worry taking my mother there during the ceremony. Yes, it was packed and very crowded. Many Buddhist gathered there from all around Indonesia and even from some other countries. But the management already prepared every thing. So no need to worry about a thing actually. Well, hopefully, I really can take my mother there someday and hopefully in near future. I had talked with my big brother and he agreed to take mother there. Perhaps not on the Veshak Day Ceremony but in any other day would be okay also. Myself and my sister had been there before – around 2007. We traveled by car with her office mates. But with my mother, I think I need to book a ticket, at least a train for transportation. Even though I can easily book a ticket using my mobile application, but having a tour that provides everything seems to be more reasonable thing to do. And you know what? 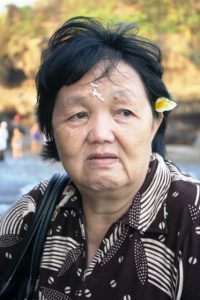 The tour guide that helped us during Bali’s vacation is now expanding. He provides a tour for all Indonesia’s tourist spots. Ah…. maybe I will use him also for the second family trip? Who knows? I still have his contact on my mobile. And maybe I can be one of his representative also? hahahaha. This post is for English Friday Challenge from Blog English Club. The theme is about The Failed Holiday You Wish To do. My post above actually is not about failed holiday. But is more into holiday that already planned then cancelled and still want to visit someday. Do you have a failed holiday or maybe a planned and cancelled but you still wish to go to? Share with us – click the above link about BEC. You can read also an English topic for you to learn. NB: is Borobudur Temple still listed as one of the Seven Wonders? I was amazed by how good everyone writes for EF challenges. Your post and other’s showed it all. I learned so much from everyone especially the creativity in writing. You guys seem to have amazing talents to put ideas into such nice words. This was the first challenge I took from EF. Of course, I was scared first because I rarely write in English and have my writing read by others (Haha, getting so confident it will get noticed on EF). but since I have posted, I wish somebody will drop by and give feedback to what I wrote, I will really appreciate it. Hehe, Salam Kenal bang. You wrote very well. Thank you for joining the club. We are all learning together here. Have you put your post link in the inlinkz? Amin. Thank you Dan. Hopefully you will get yours also. I hope you get chance to go there, mas. You have good family. And I wish I could start post EF. Yes. Come on start one. Mas, doa anak baik pasti akan dikabulkan Tuhan, yakin deh. Ibunya Mas pasti akan bisa ke sana pas perayaan Waisak :)). Ah, semoga rencana kunjungan saya ke sana dalam waktu dekat dapat terlaksana tanpa ada aral melintang :amin. Sudah :)). Terima kasih sudah menunggu. Hahahaa. Bacanya nanti aja ah. Hahahaha. Ayo mau godain apa??? Hmm.